The end of August marks another significant, if less widely noted, anniversary than that of the Democratic convention riots. On August 30, black activist Fred Hampton would have turned 40 years old—if he had not been shot to death in his bed, probably while sleeping, by policemen attached to the office of state's attorney Edward V. Hanrahan. Hampton, chairman of the Illinois Black Panther party—which prided itself on being in the "vanguard" of social change and coalition building between blacks, whites, and Hispanics—was a powerful leader who blended personal charisma with a fierce intellectual determination to dig past obvious racial stereotypes to find the fundamental causes of social injustice. He was just 21 when he was riddled with bullets in the early morning hours of December 4, 1969. The police and Hanrahan claimed that the raid on the Panther apartment was a search for illegal weapons that turned into a shoot-out only after the Panthers opened fire from within. There was one problem with this explanation: the evidence didn't support it. A grand jury investigating the matter (which never brought charges against the police) ultimately concluded that out of 99 bullets fired during the raid, only one could have come from a Panther's gun. Thus the title of The Murder of Fred Hampton, the 1971 documentary being shown Wednesday, August 24, at Chicago Filmmakers as part of its monthlong series of films, photos, and live performances: "Chicago 68/88—Visions of Dissent." The making of The Murder of Fred Hampton began as a follow-up to the 1969 film American Revolution 2, which is also being shown at Filmmakers next Wednesday. American Revolution 2 evolved from media coverage of the 1968 convention riots; it was created by the Film Group, a Chicago production company whose stock-in-trade was innovative TV commercials. "Film Group was a commercial operation," recalls Mike Gray, a principal in the company who has since gone on to Hollywood. "Our clients included Leo Burnett, Illinois Bell, Peoples Gas, Kentucky Fried Chicken. . . . We had an interest in documentary films that dated from the origins of the company in 1962, '63, but that was basically an act of timing. "We had state-of-the-art equipment, an unlimited budget, and no assignment editor," Gray recalls. "We could do whatever we wanted. We were interested in the larger perspective on the issue, not just a specific complaint against the Democratic national convention." The young filmmakers' artistic and ethical sensibilities were strongly guided by Second City Theatre cofounder Howard Alk. American Revolution 2 used the convention riots as a starting point for examining the ongoing oppression experienced by blacks and poor whites every day in Mayor Richard Daley's Chicago. "Everybody gets uptight when a few honkies get their heads beat," says one black interviewee in the film, referring to the Grant Park violence. "Where were they when we got our heads beat?" After completing Revolution 2, Gray and his associates set out to document the activities of the Illinois Black Panthers under the leadership of Hampton. "It was called Black Panther," Gray says. "We were within a couple of weeks of wrapping it up and expected Fred to leave the country, to make a run for Algeria [as other Panthers had done]. We were going to film some sort of last interview with him and that would be the end of the movie." Then the police came along. Though they were brutally efficient in eliminating Hampton and Peoria Panther activist Mark Clark, they mistakenly left the shooting site unguarded. "The Panthers' lawyers got in control of the death scene," Gray says. "We got a call: 'Get down there right away, we've got to film the evidence.'" The quick response of the attorneys and Gray's film team proved essential in ultimately discrediting the official account of the raid. When state's attorney Hanrahan's explanation of the shootings met with angry and informed rebuttals from the Panthers, Hanrahan released an "exclusive" detailed description of his account to the Chicago Tribune—because, Hanrahan haughtily informed other reporters, "that newspaper in my opinion gave a very balanced, fair report of the events that occurred." The tactic backfired; other news media, angered by the slight, dug deep to expose the blatant discrepancies between Hanrahan's story and the visible evidence. Hanrahan's officers also produced a video "reenactment" of the raid, a now clearly laughable attempt at self-justification that fell flat. Why did Hanrahan—whose political career was ruined by the scandal—make such obvious errors? "Because," Gray says now, "as one person put it, 'They had been blowing niggers away in this town for as long as anybody could remember.' What they didn't realize was that this particular black man had friends—not only street people, but in the banking community. Many people admired him for his personal integrity even while they disagreed with his politics. "He had a very unusual quality," Gray continues. "We studied the footage for months and months after his death until we realized what it was. The man had accommodated his own death. We all try to keep our eyes averted from the grave; he knew the grave was at hand. As a consequence, wherever he stood was free ground, liberated territory, you might say. The impact of someone speaking from liberated territory is overwhelming." 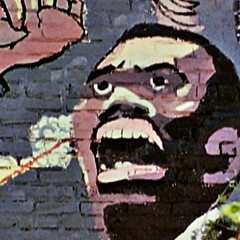 The Murder of Fred Hampton did not do well in its original Chicago release, but the film won acclaim on the festival and independent circuits and brought Gray to the attention of Hollywood. "What's the old movie saying—if you want to send a message, call Western Union?" Gray says. "I went to Hollywood to see if you could send a message, and all you needed was strong characters, conflict, resolution, and a chase. And we did it. We opened a door." Fred Hampton opened doors, too—and they haven't closed yet. Aside from its dramatic intensity, the film has a potent effect today because it illuminates the history behind many current events. Despite the media's tendency to portray the Panthers as black supremacists, Hampton was deeply interested in promoting multiracial coalitions. The struggle to end black oppression, Hampton felt, had to be fought by black socialists, not black capitalists. In this ideology lie the roots of the current standoff between the Eugene Sawyer faction in City Hall and the progressive faction led in part by Bobby Rush. Rush, now alderman of the Second Ward, figures prominently in The Murder of Fred Hampton: in 1968-'69, he was the Illinois Panthers' minister of defense. In one of the movie's most chilling moments, a Panther attorney notes that a police officer leaving the site of Fred Hampton's apartment the night of the raid was heard to say, "Bobby Rush is next." But the alderman-to-be wasn't home when the police came calling. The Murder of Fred Hampton and American Revolution 2 will be shown Wednesday, August 24, at 7 PM at Chicago Filmmakers, 1229 W. Belmont. On hand to discuss the movies will be filmmakers Mike Gray and Chuck Olin and Hampton's companion Deborah Johnson. Admission is $5, $4.50 for students seniors, $3 for Filmmakers members. The next night, at 7 PM, Gray will join other filmmakers for a panel discussion and audience dialogue on "The Commitment to Social Change Through Media." For more information, call 281-8788. Art accompanying story in printed newspaper (not available in this archive): photos/Paul Sequeira, P. Michael O'Sullivan.